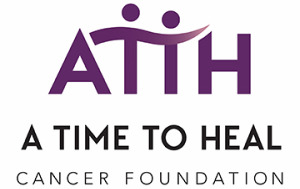 The 5th Annual Art of Living Beyond Cancer Conference on April 13th, 2019 features a day of "Hope, Help and How-Tos" for cancer survivors, their family or friend caregivers and medical professionals. Featured keynote speaker, Scott Hamilton, presents "Making Every Moment Count," followed by a breakout session where participants choose from three topics for healthy living and survivorship. Fueled by your many positive comments and valued suggestions, this year's conference is a half-day event beginning with a 7:45 am check-in so you can enjoy a light, continental breakfast and visit booths at the Vendor Resource Fair. This will give you an opportunity to gain knowledge about the many services and resources available in the community. The program begins at 8:50am with opening comments and at 9am we will introduce our special guest, Scott Hamilton, to give his keynote. Breakout sessions and book bazaar round out the morning. The day concludes with a boxed lunch and a presentation by our founders, Dr. Stephanie Koraleski and Dr. Kay Ryan entitled, "Taming the Worry Monster". The conference will be held at the beautiful Scott Conference Center located on the campus of UNO and in Aksarben Village. The newly-remodeled conference center features plenty of nearby parking and beautiful rooms for an elegant and fun conference experience. Online Registration is now closed. For ticket availability call during office hours: 402-401-6083.